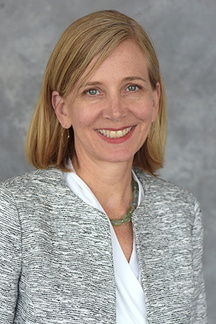 Prior to joining department faculty and the Medical School Program in Health Disparities Research, Michele Allen, MD, MS, completed a fellowship in primary care research and the Robert Wood Johnson Clinical Scholars Program. She is active in health disparities research and scholarship and serves as a reviewer for several scientific journals. 2016-20, NIMHD, co-PI, "Participatory Trial of a Health Promoting School Approach to Positive Youth Development and Wellness Promotion"
Allen ML. Mexican Heritage Families in Transition and Youth Smoking Initiation. J Adolesc Health. 2015;57(1):3-4. Ault-Brutus A, Lee C, Singer S, Allen M, Alegria M. Examining implementation of a patient activation and self-management intervention within the context of an effectiveness trial. Adm Policy Ment Health. 2014;41(6):777-87.
van Ryn M, Hardeman RR, Phelan SM, ... Allen ML, et al. Psychosocial predictors of attitudes toward physician empathy in clinical encounters among 4732 1st year medical students: a report from the CHANGES study. Patient Educ Couns. 2014;96(3):367-75. Svetaz MV, Garcia-Huidobro D, Allen M. Parents and family matter: strategies for developing family-centered adolescent care within primary care practices. Prim Care. 2014;41(3):489-506.